Thinking of starting your own glasswork project? Allow the experts at ProGlass to answer questions you have about mirrors, cut-to-order glass, window replacement and more before you begin. Do you prep your mirror edges? After your mirror is cut it usually gets polished and handled a lot before installation. The mirrors edge should be cleaned with alcohol then treated with mirror edge sealant. This keeps the exposed silver edge from turning black. Do you cut your mirrors out of square? All walls have imperfections and are not truly square. So if you put a square mirror in an out of square space you’ll have gaps and overlaps. 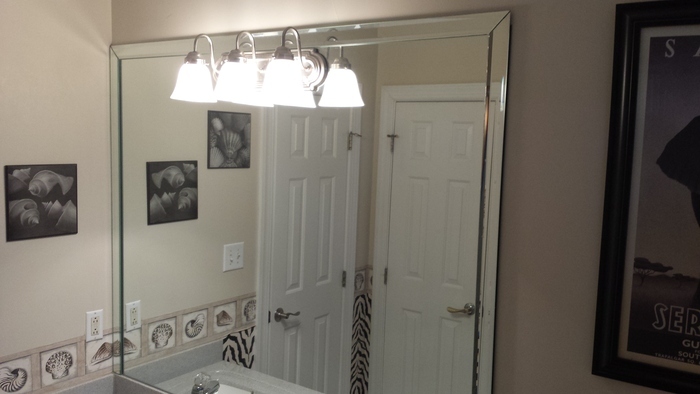 Mirrors can be properly cut to match your conditions and look perfectly square. Never allow any use of glass cleaners that have ammonia in them — if these contact the mirror’s edge they turn the silver black. Some excellent ammonia-free cleaners are Sprayway and Zep commercial, available at Home Depot or Sam’s Club. Use newspapers instead of paper towels. They’re cheap and are a good way to recycle and leave no lint.